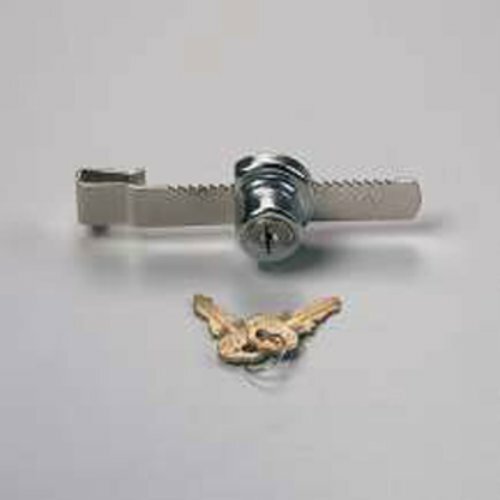 This ratchet lock for 1/4" glass doors provides safety and added security. Features include disc tumbler. chrome finish and steel construction. 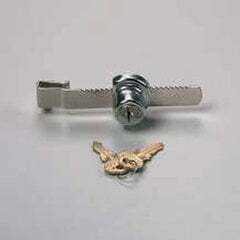 Size : Adjustable from 3/4" to 3-3/8"
The adjustable ratchet lock from Knape & Vogt Mfg. is a good one. A little more money than some others, but their reviews were bad. They matched the keys to go with our others we had.